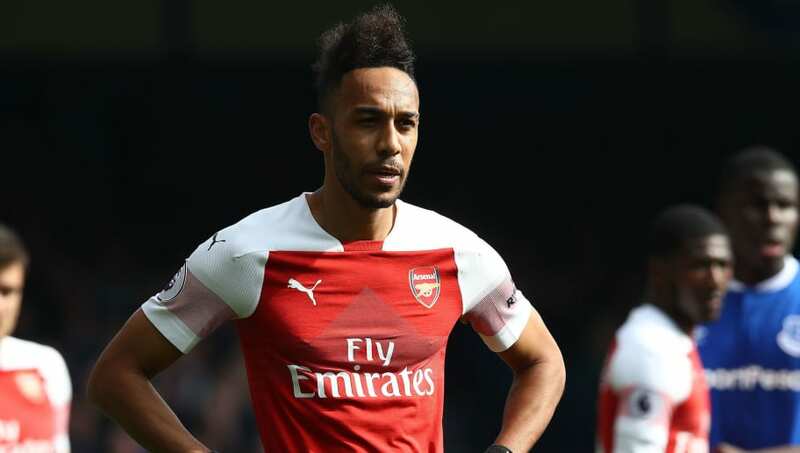 ​Arsenal manager Unai Emery has revealed why top scorer Pierre-Emerick Aubameyang has started each of the Gunners' last two games on the bench and has confirmed that the Gabonese striker is available to return to the starting XI against Napoli on Thursday night. Speaking at his pre-match press conference ahead of the game against the dangerous Italians, Emery revealed that Aubameyang had been struggling with illness. That was seemingly the only issue and the player is back in consideration now that he is recovering. "The first reason [he was benched] is because he had a small problem and he has taken antibiotics for his illness. That's the main reason he didn't start those two matches," Emery said, via Arsenal.com. "He’s getting better and can start or can play after [against Napoli]." Aubameyang has scored 22 goals in all competitions so far in what has been his first full season at Arsenal, with his last two helping the Gunners overcome an aggregate deficit in the last round of the Europa League against Rennes last month. Lucas Torreira is also set to return to the squad after serving a recent domestic suspension. In other team news, Emery is set to delay his decision on the fitness of Granit Xhaka and Laurent Koscielny after the pair both trained with the rest of the squad on Wednesday. "We are going to assess," the Spaniard explained. "Granit and Laurent are improving and they are with us, but I would rather wait for [Thursday] morning to decide." As for the threat of Napoli, Emery added: "We know they have good players and also have had good performances in the season. "In the last matches there may have been some doubts, but they will play with the best performance, I am sure. We need to be very competitive in the 90 minutes. We want to win and not concede goals, but we know that can come."